The cocktail grapefruit also known as the Mandelo is an extremely juicy, sweet fruit with a yellow/orange rind and pink/orange flesh making it ideal for beverages. 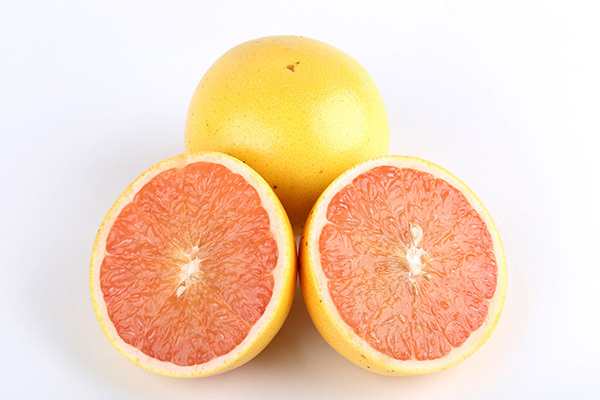 The cocktail grapefruit is a pummelo-mandarin hybrid (Siamese Sweet pummelo and Frua mandarin) originating from the University of California. The flesh is pink in color and will do well along the California coast. The trees are large and active growers while producing heavy yields. The longer the fruit hangs on the tree the sweeter the fruit becomes.